With an oculus for natural light, the Pantheon’s unreinforced dome is the world’s largest. Standing on the ground, it is easy to marvel at the structure, but unexpectedly I found myself marveling at the open space. To me, it was essential to the impressive sight of the dome. The open space, the unexpected open space, was the hidden lesson. Space is critical. 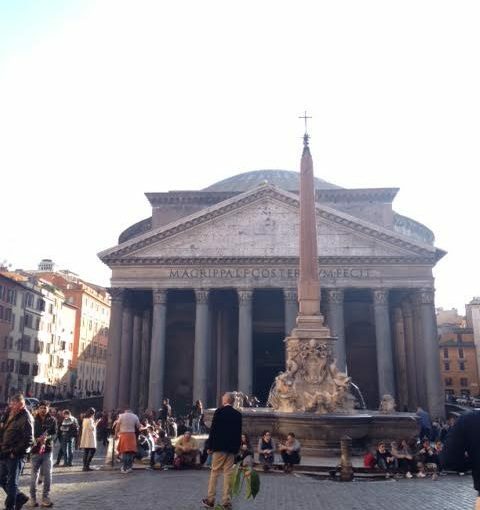 Leaving the Pantheon, but taking a new understanding of the value of space with me, I began to consider the unseen, the unexplored, and the underutilized ways that we use space in our schools. And while I agree that physical space (the inches and the feet) matter, the figurative space matters just as much—perhaps more. Are we using our figurative space to ensure that the magnificent elements of our school are visible? Figurative space, one of the unseen elements of education, is important to strong relationships, and relationships are critical to a strong school community. When evaluating relationships, we often focus on the interactions, the closeness, instead of the capacity for each side to step away from the other. Giving space to one another is critical in order for relationships with our colleagues to flourish. As administrators, we owe our teachers space in the form of breathing room. We owe them the space to try new things. And whether they succeed or fail, space is a gift that translates into freedom, growth, and discovery. Administrators must provide space for teachers to try new strategies and space for them to grow as professionals, free from formal evaluation. Give teachers support by giving them space. 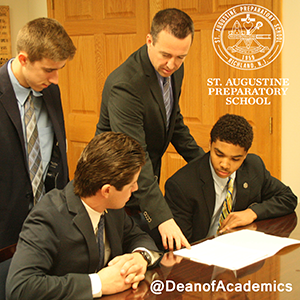 School leaders must also find space in students’ daily and yearly schedules. Brain-based research supports providing daily space for free time to benefit student learning. This time in the day’s routine helps alleviate stress and re-energizes students for the rigors of the classroom. Spreading out vacation time can also lessen some of the stress students feel. Traditionally and too often, breaks are based on holidays, instead of the needs of the students and teachers. Break the mold. Evaluate the best times to schedule days off in order to help better educate your students. Often, some space away from school at well-considered times, leads to better results in the classroom. I enjoy sharing my love for the Pantheon with others when I visit Rome. On a recent trip with students, I shared a few of the lessons that the Pantheon teaches us about the value of space. After we turned the corner to see this historic building, I offered my thoughts as to why the Pantheon is so impressive. Space, yes, but there’s also the matter of perspective—another important consideration for school leaders. I look forward to sharing my thoughts on this with you in my next blog post.